Zoe Kravitz joined a pregnant Katherine Waterston on the blue carpet at the premiere of “Fantastic Beasts: The Crimes Of Grindelwald” in London, England, on Tuesday. As marvelous as Zoe’s combination of a fuschia-pink crystallized peplum dress and brilliant green emerald earrings was, her look was something we could only like from the ankles up. 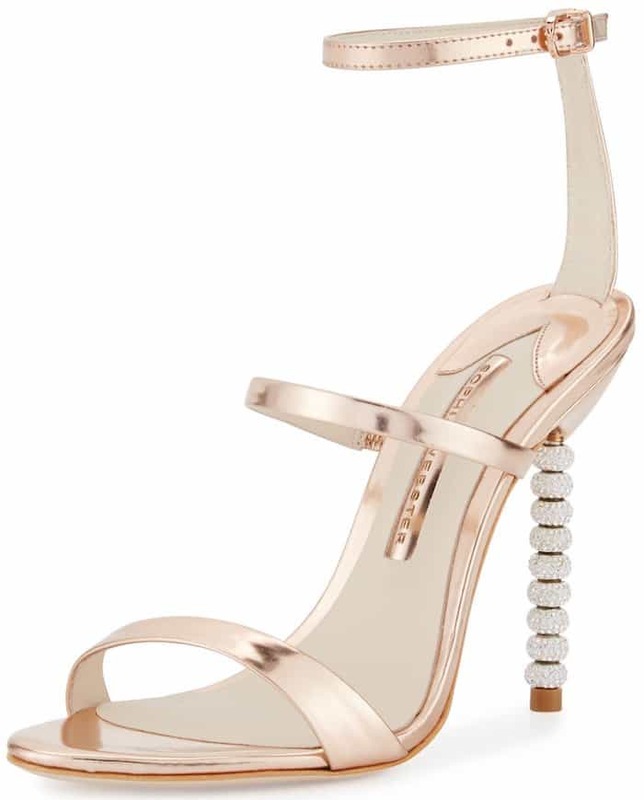 Not only was the hem of Zoe’s Armani Prive Fall 2018 dress way too long, but it also kept her matching custom-made Sophia Webster ‘Rosalind’ crystal-heel sandals hidden from view. Those gorgeous crystal heels deserve to be seen and flaunted, wouldn’t you agree? They’re the very reason why these 6 other celebrities love Sophia Webster ‘Rosalind’ sandals! Zoe committed the very same shoe crime at the “Fantastic Beasts” World Premiere in Paris, France, last week. She once again concealed her shoes, which were Saint Laurent ‘Amber’ black-patent sandals that time. However, the 29-year-old actress does get a pass, as the premiere was her and her fiancé Karl Glusman’s first official red carpet appearance as an engaged couple. As Zoe posed alone for the cameras, it became apparent that she was being suffocated by her Saint Laurent pink-and-black sequined gown that was too tight at the bust. That giant back bow must’ve been really heavy for the bodice to be wound as tightly as it was around the petite 5-foot-1 actress. Zoe first wore these same Saint Laurent ‘Amber’ sandals with a black-lace commando dress to the 2018 Met Gala. Earlier this month, Zoe nailed another shoe-concealing look in a Gabriela Hearst Spring 2019 pearl-embellished navy-satin dress and a matching ‘Demi’ satin bag from the same designer. While we love her elegant ensemble even with all the shoe hiding, we are getting the feeling that Zoe’s style this month is getting a little repetitive.